Are you hoarding obsolete gadgets in the hope they’re still worth something? How valueless do gadgets have to become before it’s simply not worth the time and effort to try and sell them on eBay? Recent research suggests there are 11 million unused digital cameras gathering dust in drawers. Add to that 14m old PCs and laptops, 12m games consoles and a million sat navs, and it seems Britain is buried under a mountain of outdated tech. There are no skeletons in my closet, but rifle through the loft at my parents’ house and you’ll find a veritable treasure chest of vintage tech. Where do I start? There’s my Acorn Electron computer from 1983 with its 32kB of RAM. On an almost annual basis my parents ask, ‘can we chuck it out?’. Each time my answer is the same, ‘it’ll be worth something one day.’ But when will that day come for my museum-piece? There’s always a thirst among some sections of society to relive the past. Earlier this year I sold my beloved Super Nintendo online for about fifty quid, to a buyer in his mid-twenties who wanted to revisit his teenage joys of the original Super Mario Kart. My loss hurt, but when there’s a Wii in the house, literally blowing the dust off an elderly console ain’t going to happen. And there’s more. Any takers for my Amstrad CPC6128 – colour monitor, disk drive and games included? What if I say the manual is autographed by Sir Alan Sugar (it isn’t)? There’s the original car stereo, before I replaced it with a CD auto-changer, and my 20GB MP3 player from before I could fit my entire music collection on a micro-SD card. All in good working order. I’m accepting any reasonable offers in the comments below. eBay, car boot sale or Freecycle? So, how do we decide whether to dump your old tech or try and sell it? There’s only a certain number of times I’m prepared to lug it to a car boot sale on the off-chance East Devon’s most avid retro gadget collector might pay a visit. 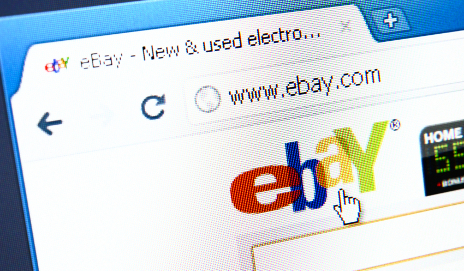 Ebay provides the obvious answer, but it’s time-consuming and there’s no guarantee you’ll sell your stuff for anything more than a couple of quid. If you’re determined to recoup some cash, there’s still some life in classified ads – Gumtree is good for offloading stuff, once you’ve sifted out the scammers. There are also many websites offering cash for your old phone. I recently sold my 18-month-old smartphone for £73 to CeX – that’s around a tenner less than I originally paid! Sell the right item at the right price to the right person and you could be quids-in! If you just want rid of your junk, I’m a huge fan of local Freecycle groups, although you need willpower to stop yourself from accumulating other people’s freebie cast-offs in place of your own. CRT TVs, VCRs and mini-systems seem ten-a-penny these days. Trouble is we’re all suckers for the latest gadgets with more bells a whistles than our old one, even though the old one was doing it’s job perfectly well. Many of the modern gadgets have uses we never even though of before, but which makes them suddenly absolutely indispensible. I still have a couple of CRT TV’s they work fine and will stay till they don’t work, they are worthless anyway. But real old stuff, especially non-working stuff should be recycled for components and metals. “The right item at the right price to the right person” is one in a million ebay items all at 99p and almost all of which never sell. If there are charities that get this stuff recycled for a good cause give it to them. There is too much junk on ebay already. Dean does not know what he is talking about. I have traded as buyer and seller on ebay for years. I never buy anything without checking ebay first. Let me give the sceptical Dean some good examples. My Saunier Duval c/h boiler – saved £300. All the gripper rod and underlay for my 3 bed house [commercial grade with heat reflecting backing] saved £250 on cheap-and-nasty stuff from Courts, including delivery. Y-fronts – 14 pairs for £1! Yes, dear, they were new. Splendid Jaeger blazer – £25. As-new Fender Stratocaster Deluxe Factory Special Run. The ‘ordinary’ DLX is £1300 – I paid £520 for a limited edition. How about £100 worth of garden gravel for £16? How fake is that? last but not least, my Danish pal Jorgen discovered that 2nd hand BMW m/cycles were 3x or 4x cheaper in UK than in DK. Over 4 months he bought 24 four bikes! All on that ‘fake/junk’ shop. Some of these ‘fakes/junk’ are now already running around Denmark with very happy Danes sitting on them and the rest will be ere long. Much electronic gizmology is worthless. I bought 4 Handspring PDAs because they ran on replaceable AAA cells. Now my mob phone does all the PDA did and a great deal more, in a much smaller object, superior in every way. The PDAs and all similar stuff will go to the relevant bin at the council recycling centre. If you are yourself a collector of these things, keep them and put them on display where you can enjoy them. If they are in your attic or your old folks’attic, they are junk and should be flung out. And dont forget Charity shops as a home for old gadgets. Okay many arent up to testing and selling older gadgets but some are – phone around. The one I volunteer in has a steady market for old working Nokia phones which the websites are not interested in. I must defend Ebay – Fantastic for DVDs and CDs very cheaply – they are usually as new. I can often sell them back on Ebay. There are many new items sold from small on-line shops.connected to Ebay – saved me many £100’s in running costs in ink cartridges and toners.. I confess to having BBC B – Amstrad Laptop – Psion hand held – but they all work (have plenty of room to store) My worst crime is having £42,000 worth of analogue cameras and equipment (But I used to make a living using them) (£42,000 was the last insurance evaluation) They are of no use now so I have a mini museum of all the kit I used in the 80s. I sympathise, Richard. I was in the smudging biz myself, before I bought a boatyard [don’t do it!]. I had 5×4 + lenses and bits, Mamiya 645 ditto and Nikon 35 kit. It all sat in cases doing sweet fa. I bunged it all on ebay, made a satisfactory amount of money and that was another load of superannuated stuff out of my life and off my mind. I recommend it. That £42k insurance valuation means nothing. It’s a notional sum that you are never going to see. The stuff is worth only what it will fetch on the open market. If you never use it &/or have gone digital, it’s history – out the lot and spend it on something else that you WILL use/enjoy. Add up the time needed to find power supply/manual/box/disks, dust and photograph item, write blurb, upload photos and blurb, fill in ebay forms, check paypal account (IF it sells), pack up item for shipping, take to post office… Anything less than £30 and it’s just not worth the time. Get your life back and bin all this useless junk – everyone else has plenty of their own already. It can be hard to do the ‘time spent versus money recouped’ calculation. Better just to do it for environmental reasons, and consider any money recouped to be a bonus. If an old item of mine has a fair chance of being of use to other people, I feel a moral responsibility to try to get it to them – including the power supply/manual/box/disks. Even if it’s just on Freecycle. Before you dump anything remember this CRT TV’s can be fixed but LCD TV’s the repair shops have not got the parts as most faults need a whole circuit panel replaced, if the fault is backlight fault sound working but picture is black that backlight part can be replaced or a new inverter installed. Broken cracked screens the quote could be half the price for entry level TV from the supermarket that comes with a warranty. Most people would rather move on to new tech depending on how old the broken gear is. The problem with ebay is that a lot of people haven’t got the time to sell on there. That’s why there’s companies like CEX and http://www.back2cash.co.uk so people can just get rid of their old stuff. It’s a convenient way of selling.